You should think of your brand as an invaluable asset and building and investing in your brand will reap rewards. Many people think that a brand is just the company logo but there is a great deal more to it than that. Your brand is your promise and every time the public interacts with anything related to your company, it impacts on your brand. So, you should think of your brand as an invaluable asset and building and investing in your brand will reap rewards. Think of your brand as a schema in the mind of the consumer. That is, all those things, large and small, that come to mind when they think about your brand. Great brands work tirelessly on their schema to ensure that the message consumers are receiving is cohesive, memorable and meaningful. So, the stronger your brand schema the more likely consumers will think of your brand over others. It becomes a sort of short cut for them and this makes it easier for potential and existing customers to make a quick decision about choosing your brand over all the rest. So, with developing a brand schema you need to undertake a brand audit. A brand audit is all about finding out what consumers really think about your brand. Not what you think they think about your brand. This is a vital step and should be undertaken through marketing research every year at the very least. We live in an ever changing and dynamic world and consumer’s beliefs and attitudes are constantly changing. You need to understand them before you draw up your schema. In doing this, there is one certainty, you will find out about consumer perceptions about your brand that you simply didn’t know. It is like finding out the gap between what the company thinks the brand represents and what the consumer perceptions really are. What do you do if you find that a few of the perceptions are not at all what you would like them to be? You work hard on your communications to overcome any negativity while building further on the positives. A great starting point is to take a few minutes filling out our How Healthy is Your Brand check list. This will give you a better understanding of what makes up a strong and valuable brand and, perhaps, what might be missing in your brand. There is also our special Resources list where you can quickly and easily access some very valuable instructions and information to get you started along the road to creating, monitoring and building your brand. One of the most valuable resource for any business is a Code Black Protocol. We can all think of instances when a great brand has had a situation occur totally out of the blue that has badly or irreparably damaged their brand image. For example Qantas when the engines failed. Sure, Qantas is a big company, but it can happen to any business big or small. If you don’t have a well organised Code Black protocol, the media will have a feeding frenzy that could easily see the demise of your brand and business. Digital marketing has always been an ever-evolving and fast-paced industry, one where new technological innovations are being released every year that constantly change the environment marketers operate in. The most successful digital marketers are those who are highly adaptable and consistently looking to utilise the next cutting-edge innovation to their advantage. 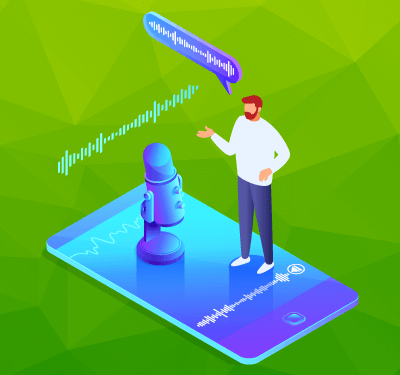 Today, we explore the exciting world of voice search technology and how it is going to shape the future landscape of digital marketing. 1. Your Brand is an Asset. Every time the public interacts with anything related to your company, it impacts on your brand – so think of your brand as an invaluable asset that if you continue to build and refine you will reap rewards continually. 2. Developing a Brand Schema. The first step to developing an iron clad brand schema is to undergo a Brand Audit. Brand auditing will allow you to find out what consumers think about your brand and this will help you to make critical branding decisions. 3. Your Code Black Protocol. One of the most valuable resource for any business is a Code Black Protocol, which is a plan of action should your brand face any dilemma that might occur in regards to public perception – such as negative media attention.